It’s happened. After a long adolescence, SQL Server 2005 has finally grown up and left the nest. 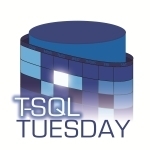 Today, April 12, 2011, marks the end-of-life date for mainstream support for SQL Server 2005. As a parent, Microsoft will no longer have to completely support SQL Server 2005 in every way. MS won’t have to pick it up from Saturday night parties, or drive it to sports on Saturday mornings. (Quiz: Which sport would SQL Server 2005 play? Leave a comment!) While MS may spot SQL 2005 if it needs to catch a taxi home after a big night out, this sort of support will be fewer and far between. SQL Server 2005 can now smoke if it chooses to, and if it happens to, it’s up to MS to decide whether to dissuade it, or let it continue. If you do catch your server smoking, I highly recommend putting out the fire immediately. I think I’ve beaten that analogy quite enough. Extended support will continue until 12 April 2016, but it’s definitely time to consider a upgrade (to SQL Server 2008 R2 or SQL11) as part of your three-year plan. If you’ve still got SQL Server 2000 databases, I’d still consider those as a top priority though. When you think of a craftsman, a likely image to immediately pop into your head would be one of an older man, working with hand tools on a piece of wood. Each movement he makes are deliberate and precise, and he seems to know intuitively what needs to happen next. His tools are so familiar to him, and used so effortlessly that they seem like an extension of his body. Although database work is a far cry from any form of woodwork, it is still a craft, albeit one that is difficult to garner as much sympathy at family gatherings as the classic crafts. 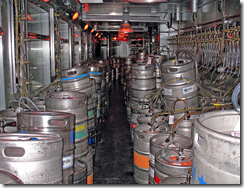 As a craft, one of the two main things database professionals will talk about is "what have you created or done? ", and "which tools do you use?". This second question is a great question, as you may discover a fantastic tool that you’d never heard of, and which can provide vast improvements in the efficiency of your regular time-consuming tasks, whether by providing necessary information more easily, or by automating tasks you currently do manually. I frequently get odd looks when I state that I don’t regularly use third-party tools at all (with the exception of backup compression tools). The primary reason for this stance is that I work for many different clients, and the majority do not have any tools over what is provided with SQL Server, and for various reasons, cannot justify acquiring any additional tools. This is not to say that I am against third-party tools – I definitely do make use of them when available, but I believe that for every task that a tool provides assistance with, a database professional should be able to do without the tool at a pinch. I liken this to our craftsman’s view of power tools. 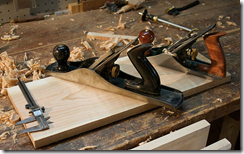 There are many situations where power tools will greatly increase the speed and ease of creating some projects in the workshop, but for other situations hand-tools reign supreme. Perhaps the craftsman is visiting family and is asked to repair a broken chair, or has a simple task to do that doesn’t justify setting up the power tools. As an example, Ola Hallengren’s excellent Index Optimisation scripts (amongst other things) are an excellent and free utility for more intelligently performing index maintenance. However, at a pinch, a DBA should be able to query the sys.dm_db_index_* family of DMVs to determine which indexes require maintenance, and issue the appropriate ALTER INDEX command. There are a number of tools available that can be used to trace expensive queries, and I do enjoy using a tool developed in-house to provide trace control and analysis. If this is not available, or if it would take too much time to set up, I’m happy to pull out Profiler, script out a focussed trace, collect some data, and then analyse the resulting trace files with fn_trace_gettable(). There are numerous other examples. Can you read a deadlock graph, or do you need Profiler to draw a picture? Can you read a blocking chain in sp_who2, or do you need Adam Machanic’s (blog | twitter) Who Is Active? What if you are called upon to help with a SQL Server 2000 instance, where this is unavailable? Regardless of whether you primarily use the base set of tools, or primarily use the "power" tools, it pays to be familiar with both types, and to be able to use each tool in the proper way in the right situation. In my previous post, I mentioned that the superior error checking and correcting abilities of a solid state disk (SSD) may allow you to trust your database files to a single drive and avoid RAID. Let’s have a closer look at the issues. SSDs will, in theory, be more reliable due to their lack of moving parts and lower power and cooling requirements. Additionally, their ability to detect and correct errors in a more superior way (via Hamming codes to allow double error detection, single error correction) provides more protection than a RAID 5 array. However, it is still possible for the drive to fail, and this issue must be considered prior to betting the farm on a single SSD. Firstly, unless you’re happy to roll back to your previous full backup, transaction logs should be mirrored, whether they’re on magnetic hard disks or SSDs, and appropriate off-server log backups should be taken frequently. In the case of using a single SSD for TempDB, what happens if the SSD fails? If you have another server to fail over to, great. You’ll have a short outage while the other server picks up the workload, and hopefully you won’t lose any transactions. If the standby server has no SSDs then performance may be slower, but still acceptable. If there is no standby server, read on. You’ll have a SQL Server outage for the amount of time it takes to re-home TempDB to another disk. You’ll need to source a new home for TempDB. You may already have space available on another attached drive, or you may need to provision more space from the SAN (if you have one). If you have no additional space, you’re in deeper trouble – you’ll need more disks, or move your databases to another server. Once you have the space, you’ll also need to consider performance. Did you originally use a SSD for TempDB because the workload was so high that regular drives barely handle it? You load might have grown since then, and you simply cannot handle the TempDB load without a SSD. How long does it take to get a new SSD shipped in? Until then, your system may be down. If you have a spare SSD sitting on the shelf that you can quickly slot in, why didn’t you just RAID it in the first place, or put it in a secondary server? In this case, we don’t even care about the contents of the SSD – TempDB will be recreated when we restart SQL Server, and things will be back to normal. The main issues stem from how quickly you can re-home TempDB, and the restrictions on where you can place it. If you have TempDB on dual SSDs in a RAID configuration, and you have one fail, then you’ll continue running with no outage (although you may need to schedule one to replace the faulty SSD). Of course, this is a much more expensive option, and it’s possible that neither SSD will ever fail – but that’s the insurance game. You pay for more piece of mind. Data files are a similar story, but there are some differences. While the loss of TempDB will guarantee a full SQL Server outage, loss of a single data file will only result in that database having reduced availability. If the data is critical, and your system cannot run without it, then you will have a problem until you failover to a standby, or restore the data elsewhere. If you can survive without this data, and you can regenerate or restore it later, there’s less of an issue. The summary is that you need to consider answers to the following questions for each of your SSDs, and then make an appropriate decision. If this SSD fails, what are the effects in terms of server availability, data loss, and the amount of time to recover? What is the action plan, with estimated times to get this back online? During this downtime, what effect will this have on the business? Will the entire organisation grind to a halt, or will a non-critical data warehouse be unavailable for 24 hours? What is the cost of this (lack of productivity, lost sales, your job)? What is the additional cost associated with providing redundancy to ensure that this won’t fail, whether as an additional SSD in a RAID configuration, or a standby server (which may or may not have SSDs). Non-critical data on a single SSD can replace a RAID-5 array, but you need to thoroughly understand the risks first, and have a solid contingency plan in place. I was at the Melbourne SQL Server user group last night, listening to Greg Linwood (of MyDBA) present on solid state disks (SSDs). It was a very informative session, with Greg going into detail on how SSDs work, and the specific things you have to keep in mind when using them, such as providing sufficient OS memory to manage the SSD’s allocations, and over-provisioning to allow sufficient space to support the fact that updates involve writing to a new location and the space is not freed synchronously. The first of three main points of the session were that SQL Server is a read oriented system, in that to perform any write operation, the rows to be updated/deleted must first be located and read in from disk. In particular, indexes are the most likely objects to benefit from being on SSDs as the access pattern is completely random – an insert into a clustered index may be predictably via an IDENTITY value, but the non-clustered indexes will experience an insert into the middle of the B-tree structure. The second main point is that enterprise-level SSDs, such as Fusion IO’s offerings, provide a large reduction in space requirements (the devices can be much more densely packed), cooling requirements (there’s no moving parts, so things don’t get hot), and subsequently lower power requirements. There is also less of a need to RAID SSDs together – individual hard disks fail frequently due to their mechanical nature, but SSDs are less likely to experience this due to their more robust nature. Of course, the entire SSD could fail, but this is akin to losing your RAID controller. If your transaction logs are mirrored on a hard disk array (which is ideally suited to sequential write operations), then the error checking and correction (Hamming codes, so single error correction, double error detection, which is superior to RAID-5’s single error detection) capabilities may allow you to trust your data files to a single device. I should point out that this is not a recommendation – it is up to you to perform risk assessment and contingency. SSDs are definitely the next big thing, and are now considered stable and mainstream enough to improve what can be considered the biggest bottleneck in database systems today – disk I/O. Greg presented a captivating session and definitely cleared up a lot of misconceptions around SSD technology and their uses with database systems.